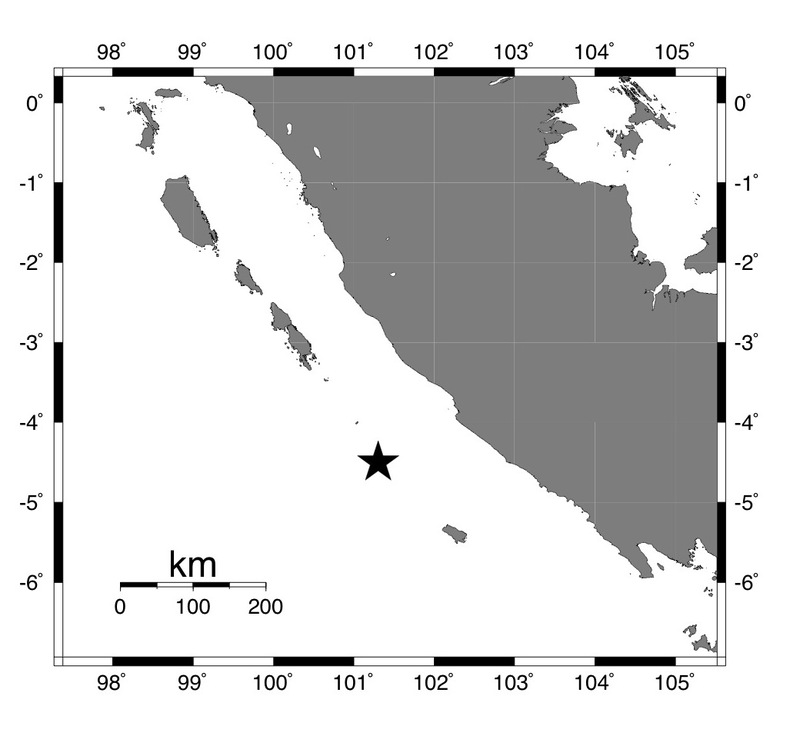 On Wednesday, September 12, 2007 (11:10:26 UTC) a Mw 8.4 (latest update) earthquake occurred off the coast of Sumatra, 130km SW of Bengkulu, Sumatra. USC Tsunami Research Center has performed numerical simulations for this event based on preliminary earthquake information. The modeling results suggest at least 2 m runup in various locations along the southern coast of Sumatra. This is an initial bulletin and will be updated periodically. 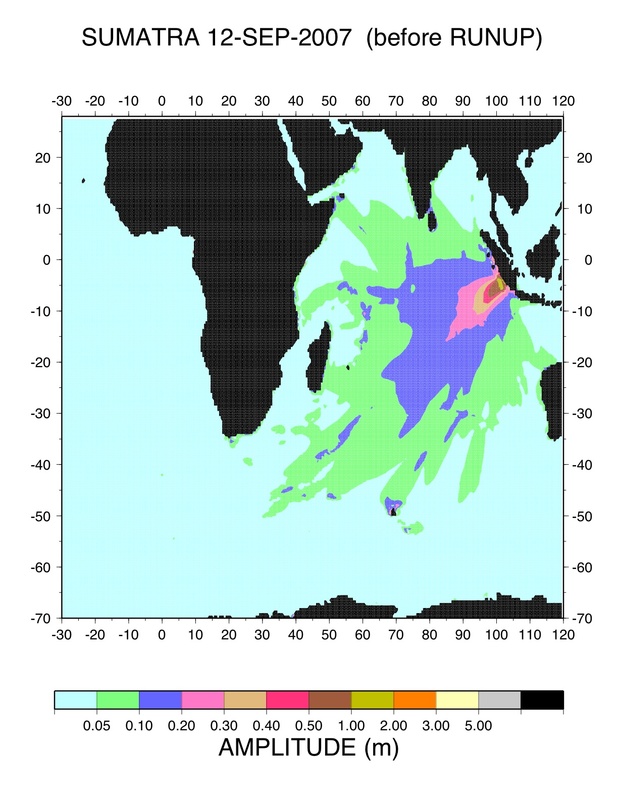 Tsunami runup and wave height distribution are shown in the plot below. 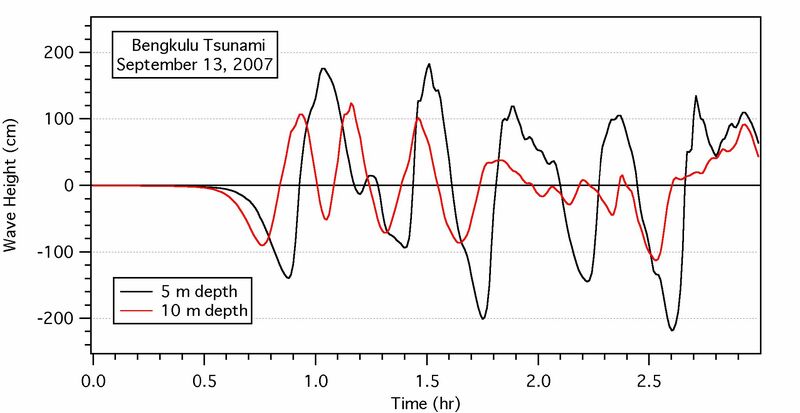 Professors Borrero and Synolakis of the USC Tsunami Research Center, working in conjunction with Professor Kerry Sieh and Dr. Mohamed Chlieh, of The Tectonics Observatory at the California Institute of Technology recently published a paper related to tsunamigenic earthquakes in the southern Sumatra region. 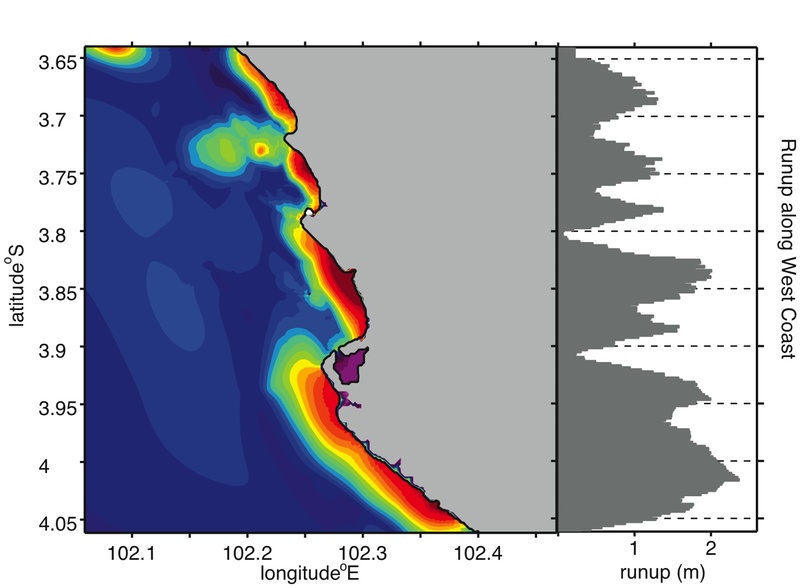 Borrero, J.C., Sieh, K., Chlieh, M. and Synolakis, C.E., “Tsunami inundation modeling for western Sumtara” Proceedings of the National Academy of Science (PNAS), Vol. 103, No. 52, December 26, 2006, p. 19673 – 19677. A copy of the paper can be downloaded here [pdf]. Summary [pdf] of preliminary results from the survey of tsunami generated by the 12 September, 2007 Sumatra Earthquake from Prof. Borrero. Simulation of the tsunami wave propagation in the region of Sumatra and the immediate vicinity of Bengkulu animation can be viewed below.